I always have leftover char siu as a char siu lover. 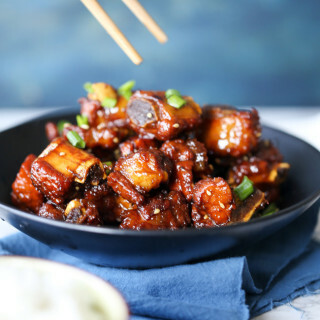 I love to make my own char siu at home with a homemade char siu sauce. Each time after making a large batch of char siu sauce, I will make char siu bao in the next day. 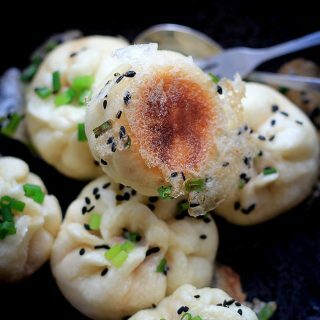 Leftover char siu is a fabulous ingredients for lots of dishes including egg foo young, char siu fried rice and this char siu bao. We have two versions of char siu bao (Chinese BBQ Pork buns), one is steamed and the other one is baked(叉烧餐包). 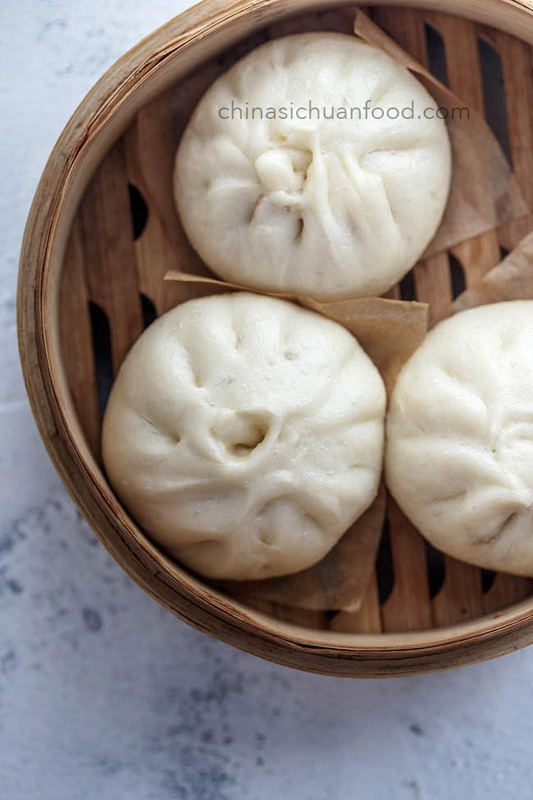 Elaine will introduce two ways of preparing the dough in this steamed char siu bao recipe. This version is the simplified version with higher success rate. Filled steamed buns (Baozi) are different in Northern and Southern China. 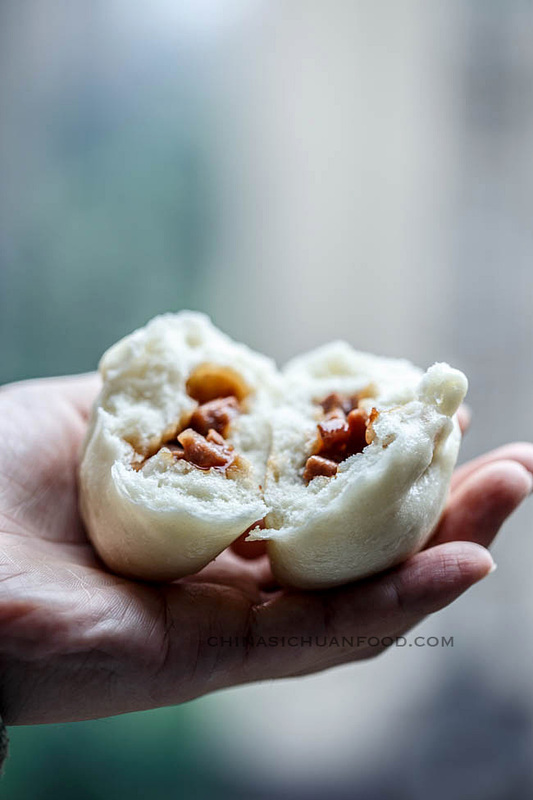 Bao wrappers in Northern China is strong, elastic fluffy and without too much flavors. However the wrappers in Southern China especially in Guangdong cuisine, are pillow soft, frail and sweet. If you ever visited a real dim sum hall, you may known what I am talking now. But the dim sum style char siu bao cannot be re-produced at home without the help of “臭粉”, ammonium bicarbonate that can help to produce a large amount of bubbles in a short time. But we have another way to go, using a common steamed buns dough. 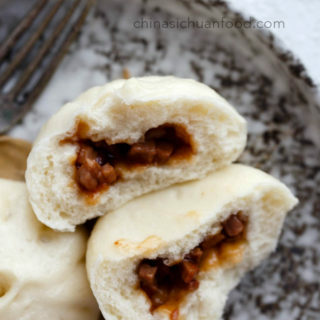 Follow the steps and make the pillow soft and juicy char siu bao with common all purpose flours and other easy to find ingredients. 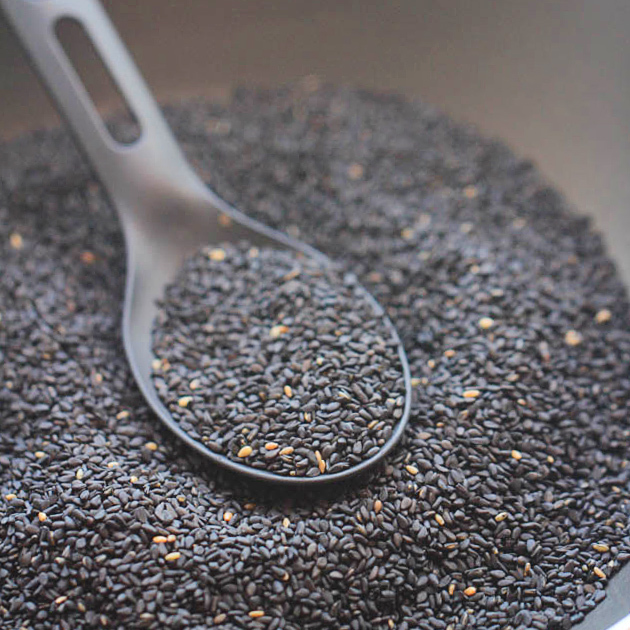 We begin with the filling as you need to fridge them for a while so it becomes easy to handle. 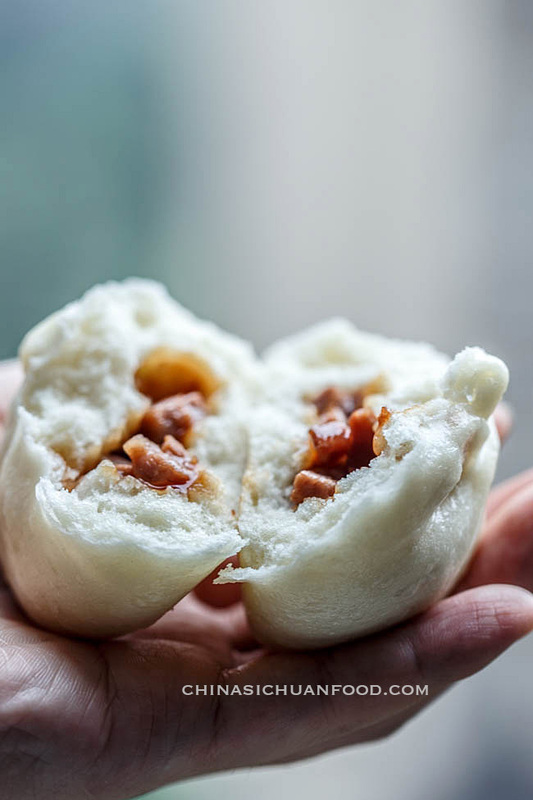 To start with this easy char siu bao, make your own char siu firstly in the previously day and then cut the cooled char siu into small dices. Mix cornstarch with water and set aside for couple of minutes until well combined. 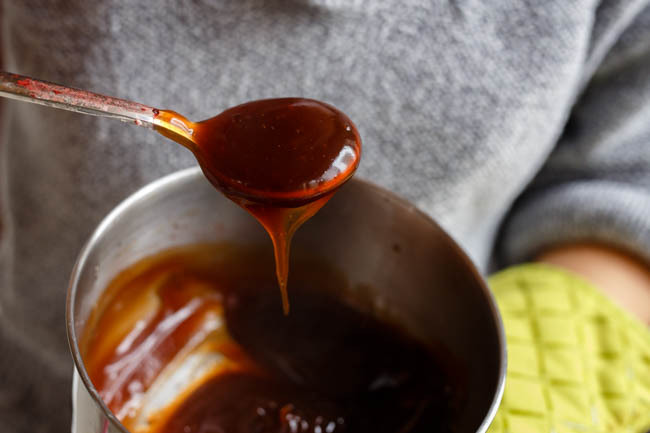 In a small sauce pot, add starch water, oyster sauce, hoisin sauce, light soy sauce, sugar and heat over slowest fire until there are big bubbles.This is our char siu starch which shoulder the responsibility of juicy filling. Mix the mixture with char siu dices. Cool down, covered and keep in fridge for 30 minutes. Now, let’s deal with the dough, comparing with common dough. I use a larger batch of yeast this time and employ a one time fermentation process, which can greatly shorten the time. I recommend using sugar tolerant yeast since we use quite a lot of sugar in the dough. 160ml warm water (or 180ml to 185ml warm milk), the best temperature for liquid is around 35 degree C.
If you read the ingredients for the dough and comparing with other Chinese steamed buns, this dough for char siu bao contains more liquid content (water and oil) and a larger amount of sugar. The final dough should be quite soft but not sticky when well kneaded. I use a one time proofing method for the wrapper, which greatly save the time and make the buns more fluffy and less chewy. 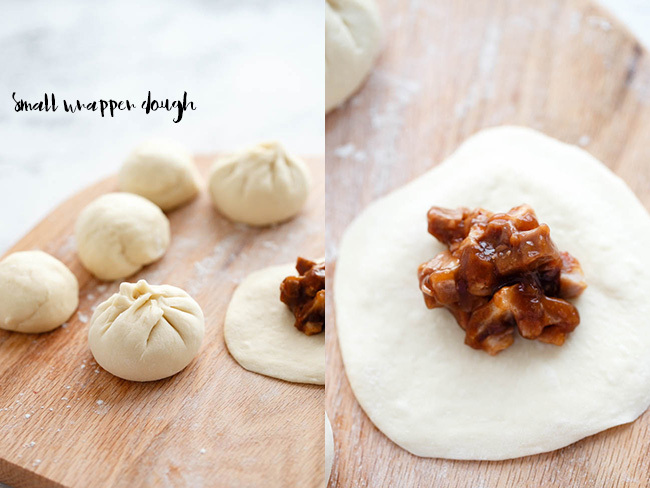 You can resort to a traditional Chinese pork bun method of two proofing method (二发法). By the way, the yeast is also increased so the buns can be well proofed within a short time. It is quite important to control the temperature and fresh fresh yeast if using one proofing method. In summer, you can use room temperature water, but warm water is quite necessary to activate the yeast in winter. In a stand mixer, place all of the dough ingredients in and then knead for 7-9 minutes at slow speed. Then cover and rest for 10 to 15 minutes. Knead the dough until smooth. Now divide the dough into 12 equal portions. Re-knead each one until smooth and then roll the wrapper dough into round wrappers around 10 cm in diameter with thin edges. If you need more instruction about how to assemble the buns, check this video. Assemble all of those buns. 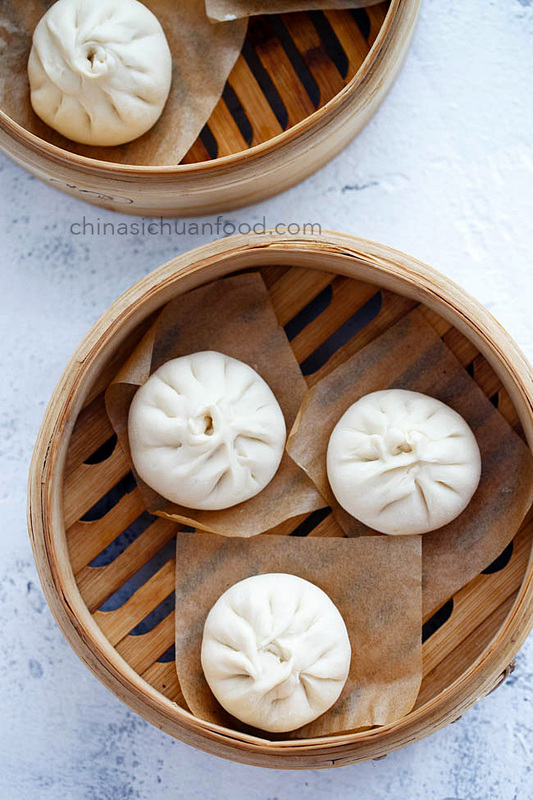 I am using a Chinese Bamboo Steamer Set to steam most of my steamed buns and I highly recommend using one you love pillow-soft buns the same as me. They can provide a better vapor condition with some extra freshness of Bamboo. Cover the lid and now we begin the one time fermentation process. In hot summer, cover the lid and let the buns stay for 20 to 30 minutes until the buns are bigger and softer. In cool days, heat the water in a pot for several minutes until warm but not boiling. Place the steamer over the pot and wait for another 20 to 30 minutes. The buns can expand very fast with warm temperature and higher air humidity.When the buns are well proofed, they becomes slightly bigger and softer (around 1/3 bigger). And if you pork a small hole, it will not recover or recover at a very low speed. Re-start the fire and steam the buns for 15 minutes. Turn off fire and stand for another 5 minutes before enjoying. Now we have the pillow soft char siu bao with a homemaking friendly dough. Homemade soft and yummy steamed Chinese BBQ Pork Buns. Mix cornstarch with water and set aside for couple of minutes until well combined. 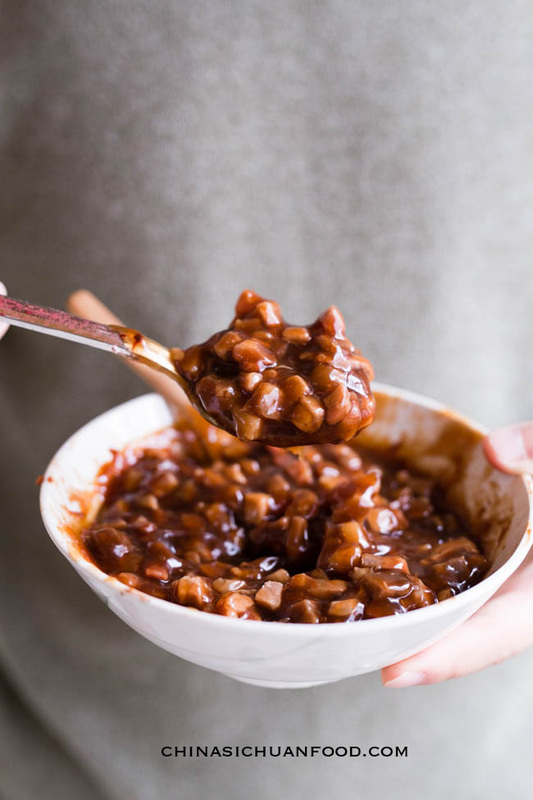 In a small sauce pot, add starch water, oyster sauce, hoisin sauce, light soy sauce, sugar and heat over slowest fire until there are big bubbles. Then mix with the char siu dices. Cover the filling and place in fridge for 30 minutes. In a stand mixer, place all of the dough ingredients in and then knead for 7-9 minutes at slow speed. Then cover and rest for 10 to 15 minutes. Slightly re-knead the dough for another 2 minutes until the smooth becomes very smooth. Shape into long log first and then divide the dough into 12 equal portions. Re-knead each wrapper dough until the surface becomes smooth. 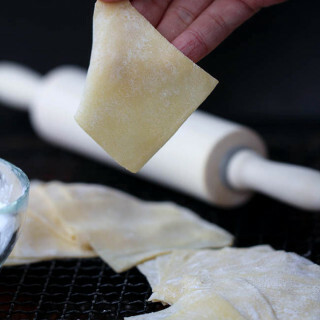 Roll each of the wrapper dough into a round wrapper around 10 cm in diameter with thin edges. Scoop around 1 tablespoon of filling in the center and seal the buns completely. Repeat to finish all of the buns. Place the buns on baking papers and then place in steamer. 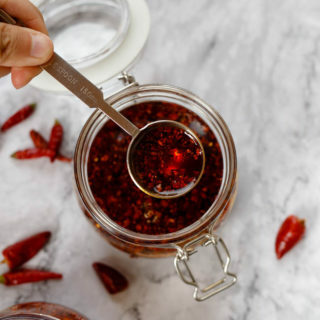 Cover the lid and rest for another 20 minutes at a room temperature around 28 degree C to 30 degree C. In cold water days, heat water in a pot for several minutes until warm but not boiling and then place the steamer on the warm water, rest for 15 to 20 minutes. Start the fire and steam the buns for another 20 minutes, turn off fire and stand for 5 minutes before enjoying. Re-steam the buns if they are cooled. No changes for the taste. The Nutrition Facts is based on each single char siu bun. This nearly made me drool on myself. Your blog is beautiful and makes me miss the food I grew up on! Thanks for the comment. Childhood food is a nice memory. Each time when I am making some familiar food from childhood,I will think about the back days and sometimes get touched. Your blog is so great. 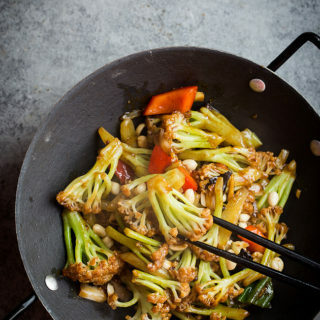 I love Chinese food and this reminds me of home-cooked food I’ve had from Chinese mothers. Thank you! Thanks Allie. Hope you can get some inspiration from my recipes. How much is 500 grams of flour in cups? Hi Ashley, 500 grams flour equals to about 3 cups. I have updated the recipe for more details. Yes, we need to roll the dough into a long log and cut into portions just like making Chinese steamed buns. Then roll each portion into a round wrapper. 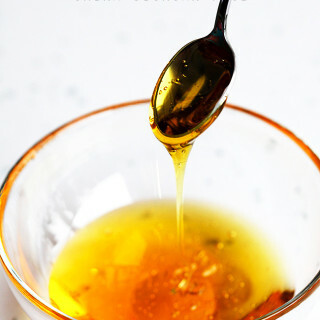 There is no strict limit of the filling, but I would suggest starting with a smaller amount like around 1 tablespoon because too much filling might cause trouble in the later assembling process. Sure you can add more. Usually for 50 grams flour, I can make around 12 buns. Thanks for your trust and wish you good luck. Happy cooking ahead. Since I retired to North Carolina from Los Angeles over 10 years ago, I cannot find much good Chinese food that I am used to. Therefore, I must cook my own to get close to authentic. I am very impressed with your recipes. You may be my ‘go to’ chef from now on. 😉 I will try the Char Siu Bao as I haven’t had one in over 10years and am craving them. Thanks for sharing your recipes! If you are using milk, I have listed this problem in FAQ after the recipe. You need to add more milk based on how much flour you are using. Milk only contents around 87% water. Besides,you need to know some basic about your flour, high gluten flour needs more water. Make sure that the dough is not over-fermented (smell sour or like wine) and I would love to suggest you changing your flour for another try. If it is sticky, you need to check which part is sticky. I mean whether it is the bottom, surface or the middle. If the even the middle part is sticky, then they are not well steamed. You need to lengthen the steaming time. If the button is sticky, place a cloth or leaves or brushing some oil might help. Hi from Boston! 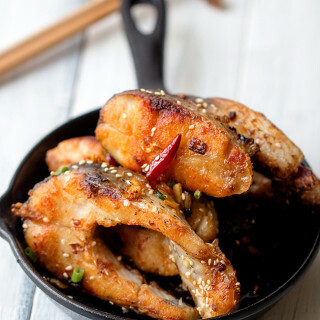 I am very excited to make this this weekend, I just got home with the ingredients. I did buy rice flour which I think is used on the bao. I noticed your directions say All-Purpose. Should I really be using plain old All-Purpose flour, or should I use the rice flour I bought with your same recipe? 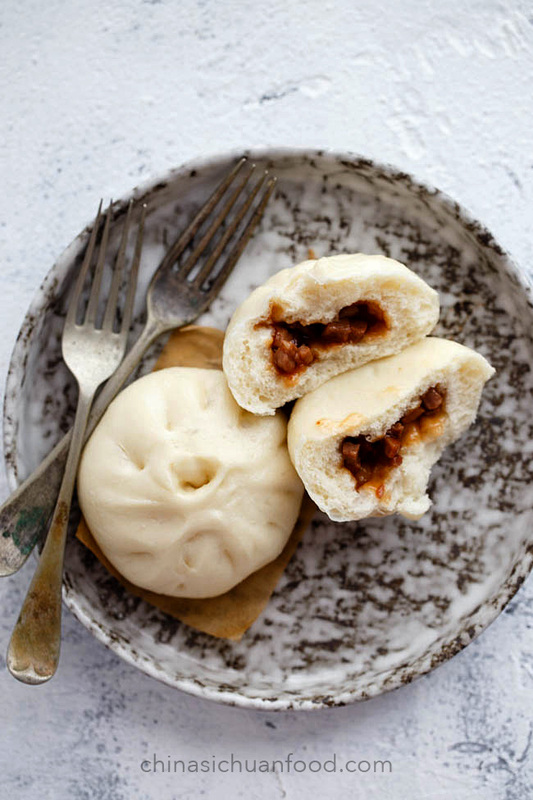 You need to use all-purpose wheat flour for this pork buns. Rice flour should not work for this recipe. Your steamer basket appears to have some kind of woven insert inside to keep the buns from sticking. I saw these on a trip through China as well. Any idea what they are called and where I could buy one? Haven’t had any luck finding one online. Thanks for the great recipes! Yes, this is a special carpet to prevent the buns sticky to the steamer. But I have no idea where this is provided outside China. I’ve noticed that you use different ingredients and ratios for wrappers in both pork buns and custard buns. Could you tell me why this is please. 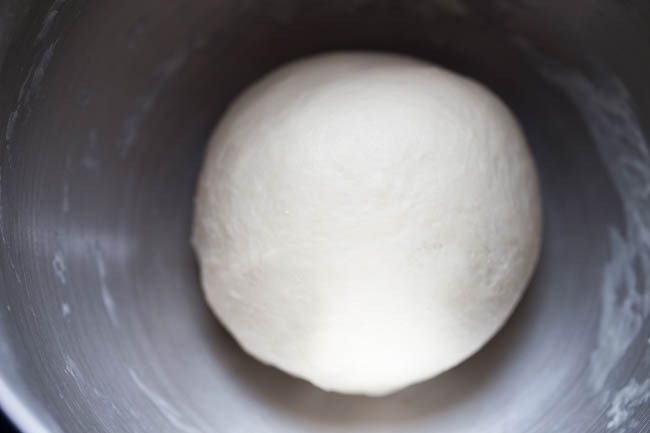 I want to also ask, what can I do to make my dough a little whiter, because it looks a little wheaty compared to what I’m used to seeing from the ready made versions and in the Hong Kong food stores. The ratio for Chinese buns are similar(based on 2:1 and adjusted accordingly to the flour). The water used might be different because we add milk for the wrapper of custard buns(and I am using low-gluten flour for that recipe). And for the second question, if you want the pork buns pure white as it Hong Kong food stores, you will need to find Hong Kong flour which usually gives a pure white color. I shoot those picture with natural light and the wheaty color is original. However the fact in my country is we do not like pure white buns because it is achieved by adding some brightening agent in the flour. Thanks for the quick reply. i don’t think you understood my first question and it maybe because I could have worded it better. Why are you not using the same bun ingredients for both Char Sui Bao and Lai Wong Bao. Why does one have milk, different flour and the other not? I use different bun wrappers because they have different flavors, BBQ pork is savory while custard buns is sweet and the wrapper needs to be milky. This is just a flavor issue. Can you also include instructions for baking these? Would love to try steamed and baked ones. Thank you. Oooh wee! I am so glad that I found this post at http://affimity.com/#/sharedPost/1/9772; my family loves Chinese pork buns, but they get a little pricey because we can only find them at the Vietnamese market downtown. They are just delicious – and filling! I just have one question: can I make these in bulk and freeze them? Would there be a process, or is it as easy as putting them in a ziploc bag? Either way, thank you! I cannot wait to try these out! Yes, those buns can be made in bulk. I usually make at least 12 ones and then freeze half of them for later meal. Firstly, steam the buns as usual to stop the proof process and then wait until completely cooled down. Place them in plastic bag, sealed and freeze. Steam again directly for around 10 to 15 minutes until completely soft next time before serving. I hope this helps! Happy cooking ahead. Before I start to make these can you clarify the amount of ginger to be used (ie weight/teaspoons/etc) and do you add the actual root to the recipe or just the ginger water? I did not measure the ginger I am using for this recipe. I usually use around 1/2 tablespoon after minced for around 500g pork. And I add ginger along with water to the filling. MMMMM! This looks AMAZING! My husband and I love steamed buns and Dim Sum. Love your photography, too! Really it is so great to heard from readers like you, of course I expect successful reports. You are so sweet to let me know that I am helpful in the beginning of the new year. Happy new year too! Wish you and your family a lucky year. I would like to make chat siew bao n freeze them , so that whenever I want to eat them , I can bring it out to steam. (Just like those frozen baos bought from dim sum restaurants). At what stage do I freeze the baos. After steaming them? If after steaming, do I have to fully steam them 15 to 20 minutes or half the time . You can freeze the buns after steaming. And next time before serving, steam them for 8-10 minutes until they are hot and soft. I’ve just discovered your website and I’m hooked! You have so many recipes I want to try! 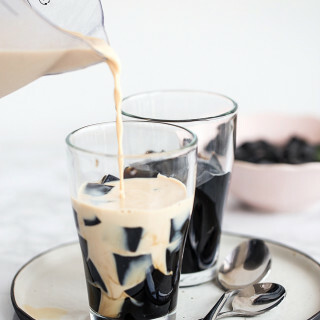 What light soy and dark soy brand would u recommend on using? For readers outside China, I will recommend using Lee Kum Kee. That’s the brand I use a lot. Hi! I would like to ask 1 packet instant yeast for the wrapper but mine here 1 packet is 7g so how many gram should i use? 5g to 7g instead yeast should work fine for this recipe. Hi Elaine, thank you for sharing many recipes and experiences. Normally i have my own bun recipe that my mother taught me, but i still wanna try others’ recipes and i tried this one today. I’m sorry but i have to say that the wrapper wasn’t delicious at all, it was very dry and not fluffy at all and quite yellowy and chewy ( believe me, i didnt fail any step because this buns is all my childhood and i never failed making it) (i read your comments above and no, we don’t need to have hongkong flour to have the white bright buns, you can add a bit of vinegar in the water you use to steam the buns, but since the dough was very dry so it didn’t help much). i used to eat these buns in Baldwin St Village in Toronto. i loved them i bought some from the supermarket and they were horrible. thank you for this recipe. i am going to give it a go. Good luck and happy cooking! I look forward to your good results. Just made a batch and they are delicious! do you think its possible to freeze them also before the steaming? Hi, thanks for trying my recipe and I am happy to find it turns out good. If you want to freeze them, you should steam them firstly and freeze after cooling off. Freezing kills the yeast and the buns cannot be fluffy even after steaming. Hi, I’m going to start the char sui today so I can make the bao tomorrow. One thought, can you give the US measurements along with the other for those of us who don’t know grams, etc? I would really appreciate it! Aloha! I will add us measurements in those recipes which do not require accurate amount for success later. It is a great suggestion, but the truth is measurement cannot provide accurate amount and may influence lots of dishes in some way. Thanks for the suggestion, anyway. Hi Elaine.I have just returned from an Asian Takeaway down the road (Auckland,New Zealand )with 3 BBQ Pork Buns and enjoyed them whilst reading a great book.I have always meant to find out howthey get that sweet centre in the pork buns but the ownersof the shops in Auckland all say “we get them in”..Scuring the internet YOUR pics and recipe look like i may have struck GOLD so i can make mine at home.My question is :what are CHAR SIU Dices?? I think you are talking of DICED roast PORK arent you.? 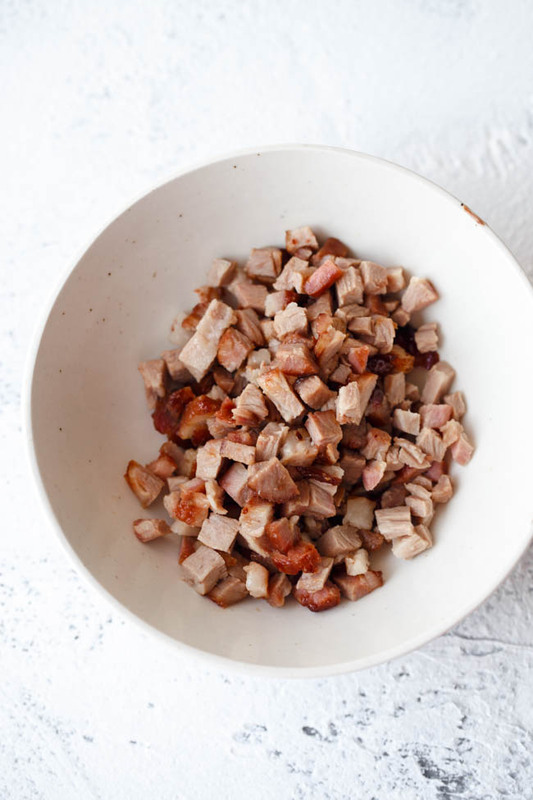 Yes, the char siu dices is the dices from roasted pork. 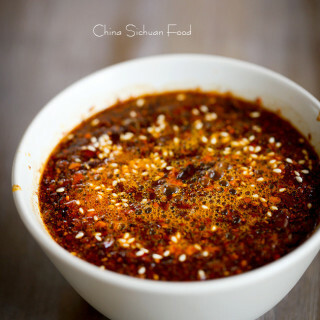 We match it with a thicker char siu sauce in order to quality it as a filling. Great recipe, would you happen to have one for the dough that uses wild yeast (sourdough)? Are you supposed to let the dough rise before you shape it? The prep time says 4 hours but you don’t specify any rising time anywhere. The Pre time is the calculation from the original recipe, in which, a second time proofing method is used. For one time proofing, the pre time is very much shortened. I have already corrected this. Thanks so much!! Great recipe for the dough, Required a touch more moisture. I added 2 tsp of baking powder. Worked great. As a professional chef this goes in the repertoire. Well done.. Thanks Kris! Glad to get feedback from a professional chef. Out of curiosity, what kind of paper are you using between the steamer and the baos? It looks like normal parchment paper, although I’ve been suggested to use coffee filters instead. What are your suggestions regarding that?